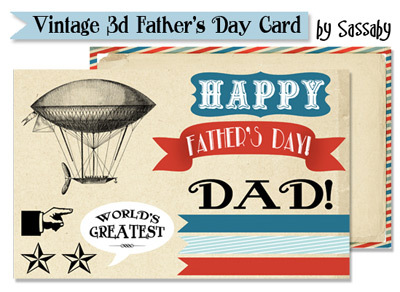 We love making our own cards and I was so excited to see this fantastic 3D printable card on the Sassaby blog. 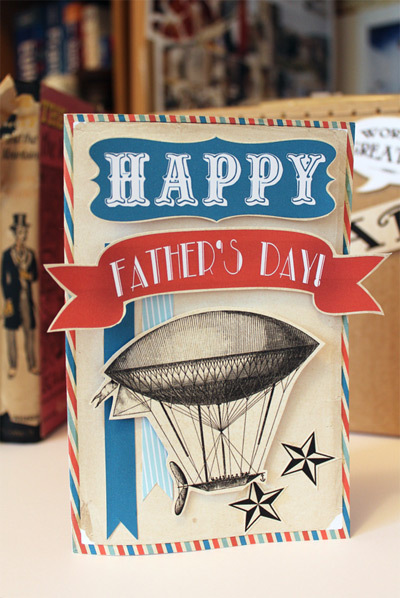 The printables designers at Brisbane-based Sassaby are giving away this vintage Father's Day card printable design, free for you to download and print on your own printer. I cut the individual pieces out and let the kids go to town sticking them to the card and drawing pictures inside. We printed on standard white cardstock and used double-sided tape, but you could also use foam to get a more pronounced 3D look like Sassaby has achieved above. There are enough elements to decorate both the outside and inside of the card. Thanks Sassaby for a great printable!